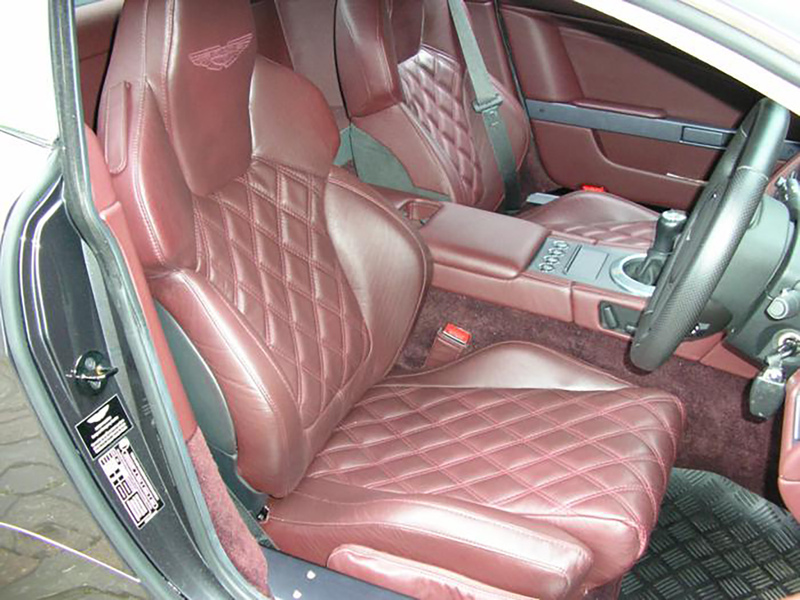 2006 Aston Martin V8 Vantage, early production model with Factory bucket type racing seats. These look fantastic, but have proved very uncomfortable to sit in for long periods for some drivers. 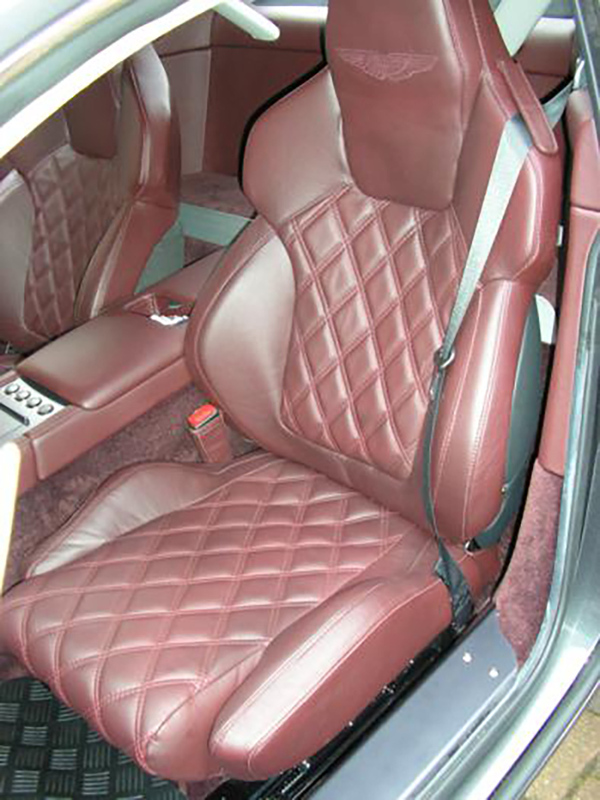 I have recently redesigned a set, using the correct matching Bridge of Weir leather, giving greater driving comfort and an enhanced style, using the traditional Bentley diamond quilting pattern and stitched AM winged logo. 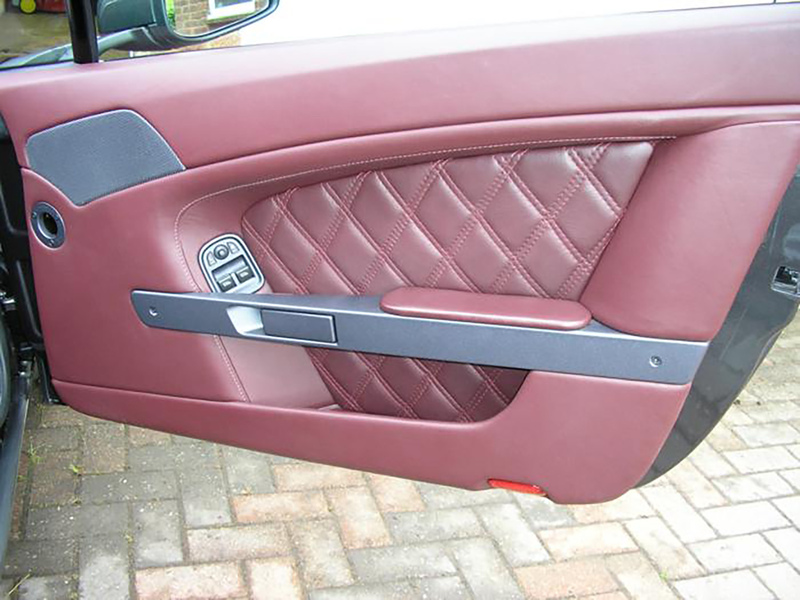 The door cards were also retrimmed to match the seat facings. 1967/8 SHELBY GT500 428ci POLICE INTERCEPTOR ENGINE IMPROVEMENTS. The standard 1967 Shelby GT500 428ci Police Interceptor engine was equipped to twin 600cfm Holley carbs, special Shelby aluminium intake and in stock form developed 335hp and 440lbs/ft of torque. The 1968 Shelby GT500 used only a single 4-barrel Holley carb put power outputs were similar to the 67 version, so the upgrades can be applied to either version. For the first stage engine performance improvements the motor is subjected to the highest standard balanced and blue-printed rebuild with the internal capacity increased to 462ci, through a special high strength crankshaft and connecting rods. The heads are ported and a special improved performance camshaft used. This combination yields on the dyno an increased power output to 440bhp @ 4600rpm and 525lbs/ft of torque @ 3600rpm. To build upon the power increases found in the first stage upgrade, the core engine is subjected to the same very high quality rebuild and increased capacity, however horsepower figures are improved upwards by the fitting of a ported set of original 427 Medium-Riser cylinder heads and a suitable camshaft. This new combination yields on the dyno further hp power increases of 510bhp @ 5400rpm and a changed torque rating to 510lbs/ft @ 5200rpm. 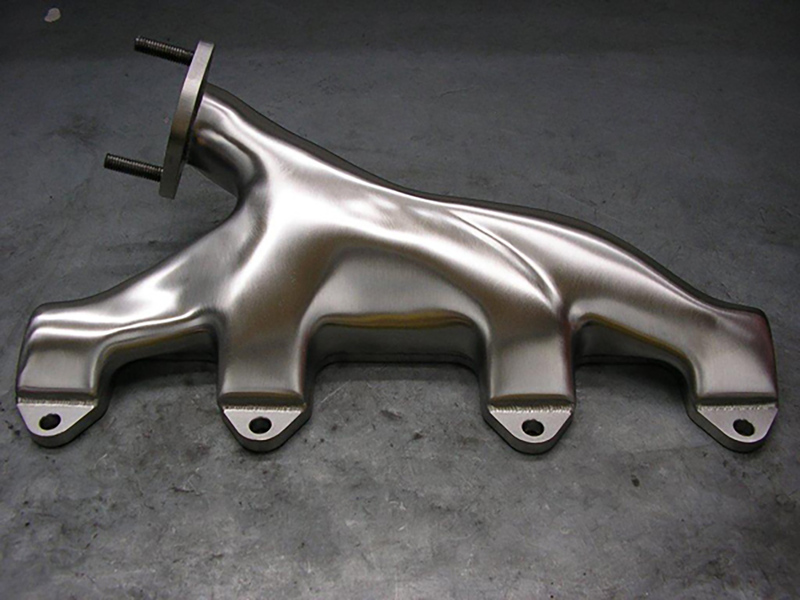 The 427 heads have a different exhaust manifold bolt pattern to the original 428 cylinder heads so unique exhaust manifolds are required. These are special to the car due to the very limited engine bay metalwork and engine block physical clearances with a 428 installed in the bay area. 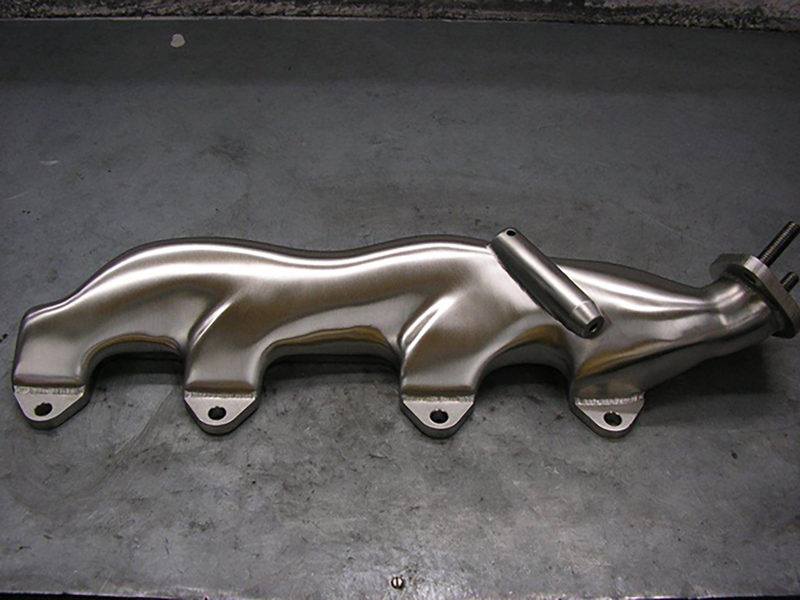 I have patterned and had fabricated exhaust manifolds in stainless steel which allow OE type fitment and clearance plus are designed to use with an original type exhaust system. 2007/08/09 SHELBY GT EXTERIOR & MECHANICAL IMPROVEMENTS. The series of improvements are designed for the Las Vegas built Shelby American GT cars. The Las Vegas built Shelby GT's are the modern version of the 60's built Shelby cars. As a standard production vehicle they are good, but with a little enhancing they can be even better. 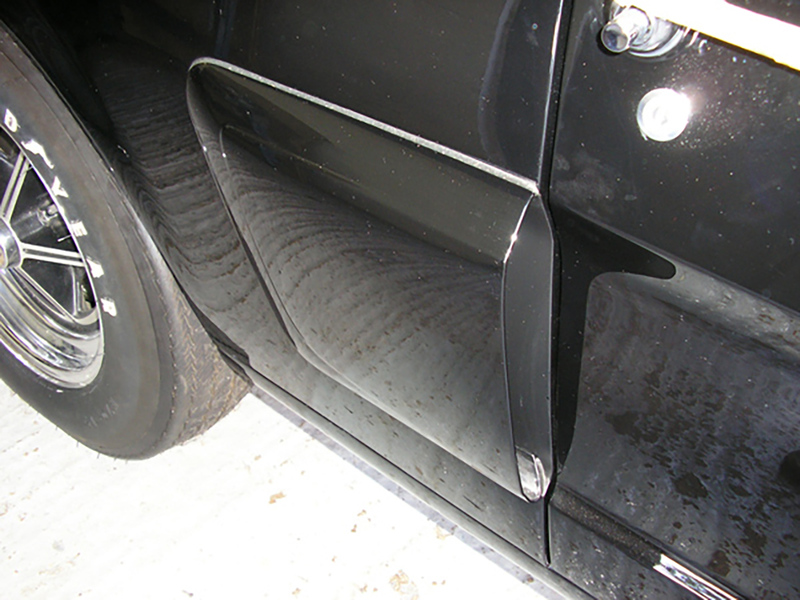 Shelby fitted the cars with twin racing stripes which were produced in vinyl, these have proved very troublesome in the long-term due to staining, marking and bubbling. At my paint shop I can remove these and apply a pair of painted stripes, to the exact same physical dimensions as the original pair but include a laquered finish, so no hard edge can be felt between the new stripe and the cars original paintwork. At this stage of work, new details can be added such a Shelby billet fuel filler, faux gas cap and lower front grille plus many other detail improvements. The Shelby fitted hood-scoop was Factory rivetted to the bonnet, the rivets were tensionally very strong in pulling the scoop onto the bonnet and so often distorted the steelwork. Removal of these rivets and fitting of stainless steel button head caps screws allows for careful tensioning of the fixings and thus, much less panel distortion. 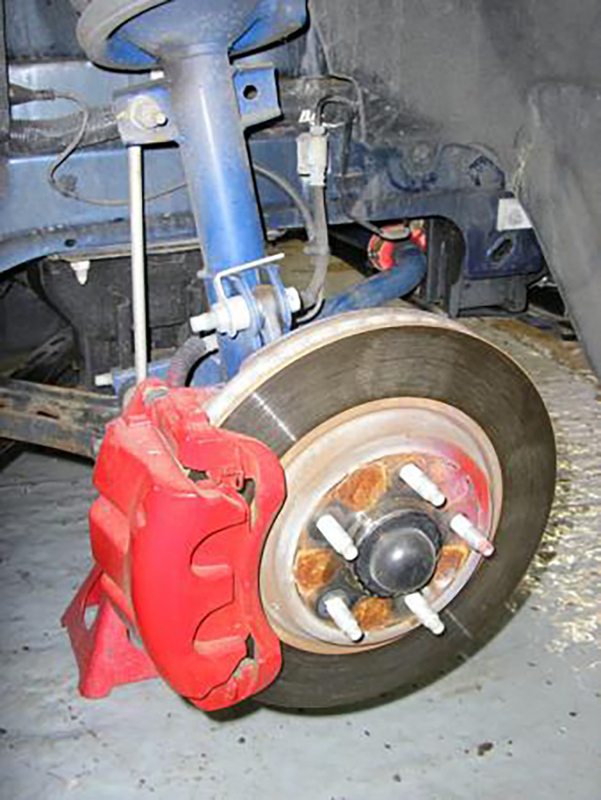 STAGE 2 BRAKING SYSTEM and SUSPENSION. The standard Shelby GT front braking system is from the normal Mustang GT 13inch front discs and gives satisfactory only braking performance. The Ford built GT500 uses a Ford Racing 14inch front disc with Brembo 4-piston caliper conversion. These are an essential change to any Shelby GT braking system and the conversion includes braided brake lines, new heavy duty pads and all fitting hardware. To enhance these new larger discs a Ford Racing brake cooling duct kit is also available and these can be added into the car. Dragon Wheels designed air intake ducts are installed in the front lower air-dam area at the front of the car allow cooling air to be directly funnelled to the new big brake discs. 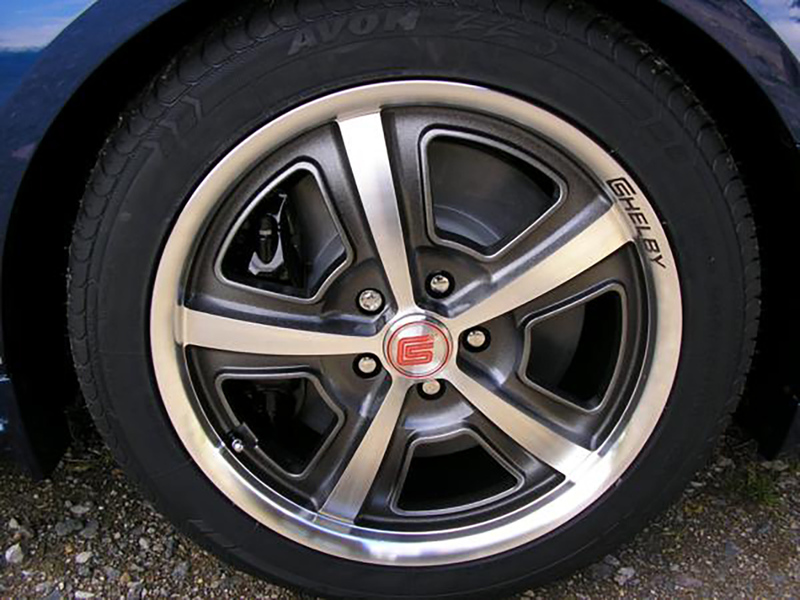 If the 14inch brake conversion is added to the car, the GT's standard 18inch wheels do not clear the new brake calipers, so it is essential to fit a larger wheel/tyre combination. There are a huge choice of aftermarket rims of many sizes available, however I always recommend Shelby manufactured items, to ensure the best quality. 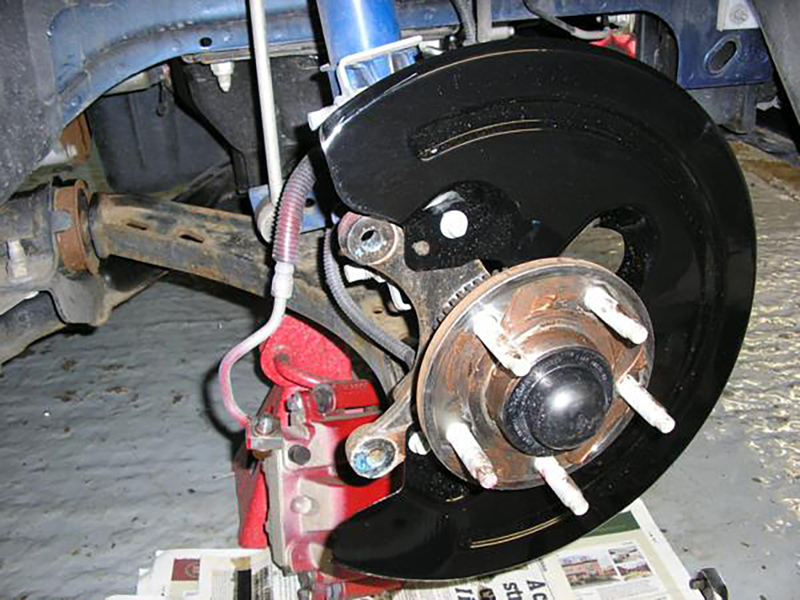 A small improvement to help front end steering stability are the Ford Racing heavy duty front lower suspension arms, these have increased bush sizes and offer enhanced steering response and control. For the most cost effective increase in engine performance, I recommend a Supercharger installation. The Shelby factory fits one on the GT cars to create the GT/SC. I have installed a Roush M90 on my own Shelby GT with all the Roush installation equipment and calibration. This is a Factory OE emission certified kit of the highest standard and perfect for road usage. It lifts the cars horsepower from 319 to 450 and offers OE driveability. Original 66 GT350 side scoops were manufactured from press moulded fibreglass, giving smooth exterior and inner surfaces. I have found with the originals, now nearly 50 years old, when the paint is carefully removed, the fibreglass surface can start to delaminate. Reproductions are available, but are manufactured from the normal hand lay-up fibreglass method, ie smooth exterior, course inner surface. 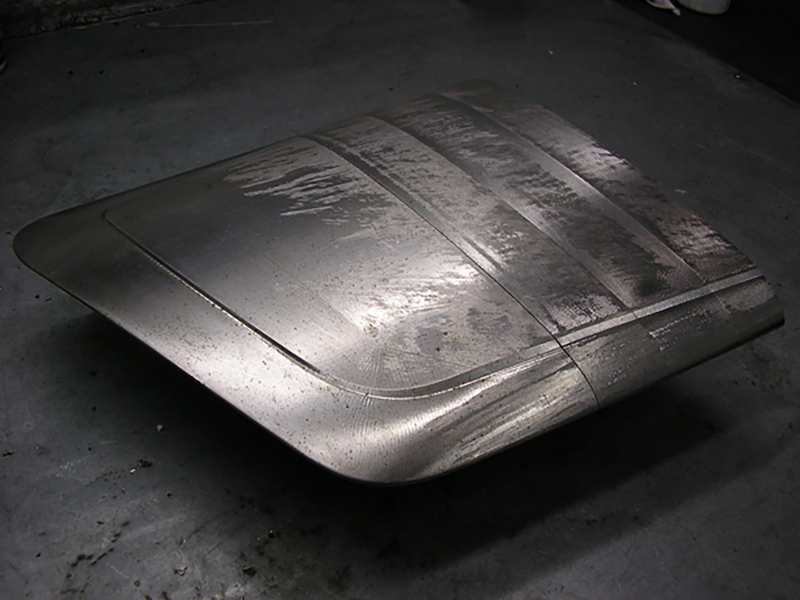 To give the quality of scoop I want to see on a restored car, i have had an original fibreglass item digitally scanned. 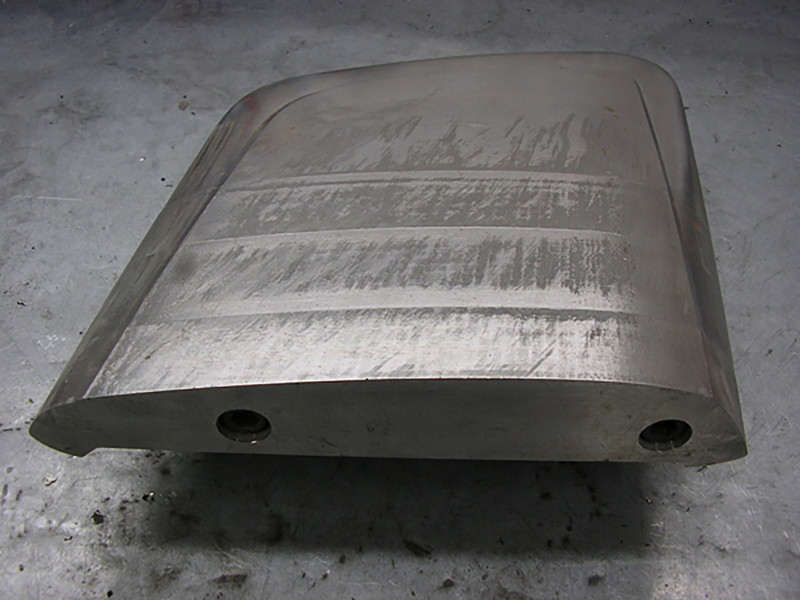 From that information, I had a steel former manufactured which allows me to produce an exact copy of the scoop in aluminium. The former is modified physically to allow for the thickness of aluminium used in the manufacturing process, that way when finished, it is the exact same size as the original fibreglass one.